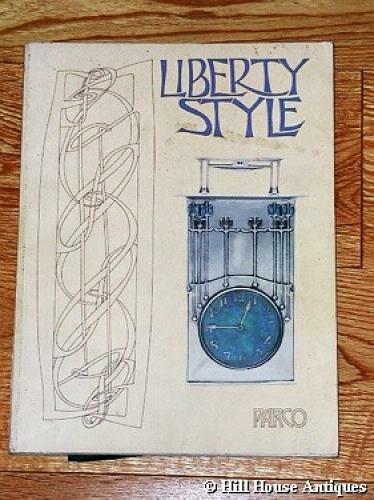 A scarce and out of print extensive exhibition catalogue Liberty Style by Victor Arwas and published by Academy Editions 1983. In English and Japanese (where the exhibition travelled to). Approx 144 pages and profusely illustrated in colour and black and white, covering a lot of the major output of Liberty & Co at the time of the Arts & Crafts and Art Nouveau periods, including furniture, metalwork, jewellery, ceramics and textiles etc. A superb and indispensable reference book. Overall very good condition - covers a bit grubby but contents very clean inside. Some pages have come loose and a couple of pages have been cut in half and missing but replacement colour photocopies from originals will be loosely inserted.